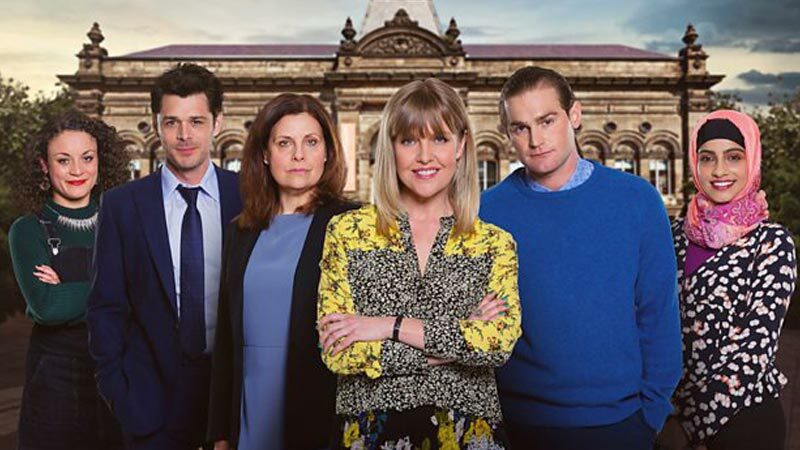 Produced by Rollem Productions and with post production at dock10, the series is set in Leeds and follows Registrar Kate Dickinson as she tries to juggle her personal life with the daily dramas of births, marriages and deaths, and the impact they have on her. After a dream promotion to the top job of Superintendent, Kate finds herself increasingly torn by the endless responsibilities of being a modern working mother. Her daughter’s hiding suspicious messages on her mobile, her son hates her because she’s bought him the wrong trainers and now her stepson’s turned up unannounced to stay. As Kate tries to hold her work, life and relationship together, things go from complicated to impossible when a disgruntled colleague threatens to expose a secret from her past. The series explores how women in particular have to juggle their lives. Kate has reached the top of her profession but with everything she’s worked for in jeopardy, can she sustain herself when it’s not just her job that’s on the line? Kay Mellor said: "I’m delighted to be doing a new series for the BBC. This has been cooking in my brain for quite a while and it feels like the right time to put it on the screen. The idea came to me when I was registering my mother’s death at Leeds Town Hall, closely followed by a friend’s wedding in the very same place. I remembered registering the birth of both of my daughters there too, and I realised that the Register Office and registrars really are at the very heart of life. It’s a place of laughter, tears and great drama. "Of course I’d love to do another series of In The Club and The Syndicate, but they are on hold for now. It’s lovely to be working on a fresh idea and I’ve got all the support from the BBC. They seem to trust me to just get on with it and then will dive in with a brilliant note or thought." Charlotte Moore, Director of BBC Content, says: "The genius that is Kay Mellor puts one woman at the centre of her new BBC One series, and brilliantly captures contemporary British life as she juggles a complex personal life with a world of births, marriages and deaths."